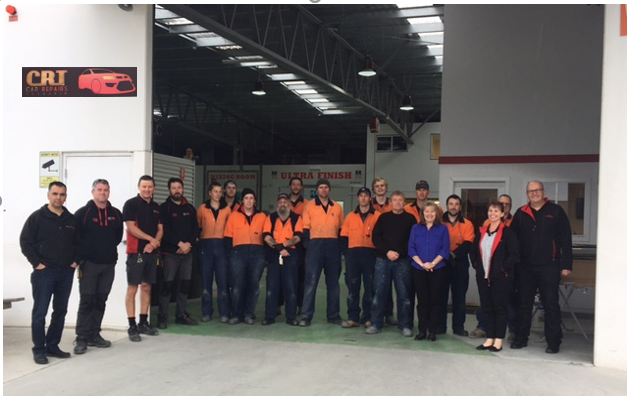 Capital S.M.A.R.T Repairs today announced it was in final negotiations to acquire Car Repairs Tasmania, enabling the expansion of its high quality collision repair service into Tasmania. The acquisition will complement the existing S.M.A.R.T network of 36 centres across Australia and New Zealand. Chief Executive Officer, Alex Milan says Car Repairs Tasmania is a well-run business with a reputation for high quality repairs. “We have been looking to expand our network into Tasmania for some time to deliver fast, cost effective quality repairs for customers and we were impressed by their operation and focus on customer service,” Mr Milan said. “We were also impressed with their commitment to sustainability which has been a major focus for S.M.A.R.T.” Solar panels are installed on the roof of Car Repairs Tasmania to help reduce the operation’s carbon foot print and there is recycling of all materials including paper, steel, cardboard, plastic bumper bars, bottles and soft plastic. Car Repairs Tasmania is located at Derwent Park, about 6 kilometres from Hobart’s CBD.